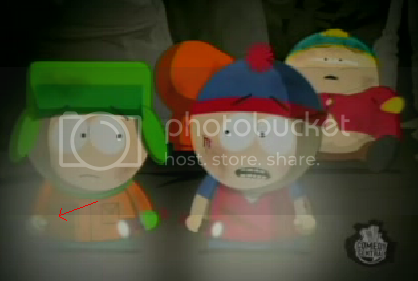 As Kyle and Stan are in the cave discussing what to do about Cartman, Kyle's glove appears and disappears several times. When his hand is down, the glove is off, but when he puts it up, it appears. E e. ... bravo man !!! damn good find! How the f*ck did you see that? Your good, real good! 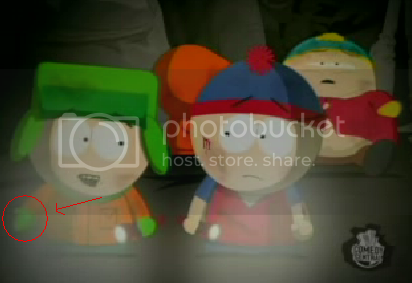 I would have never spotted that. You've got fine eye sight!